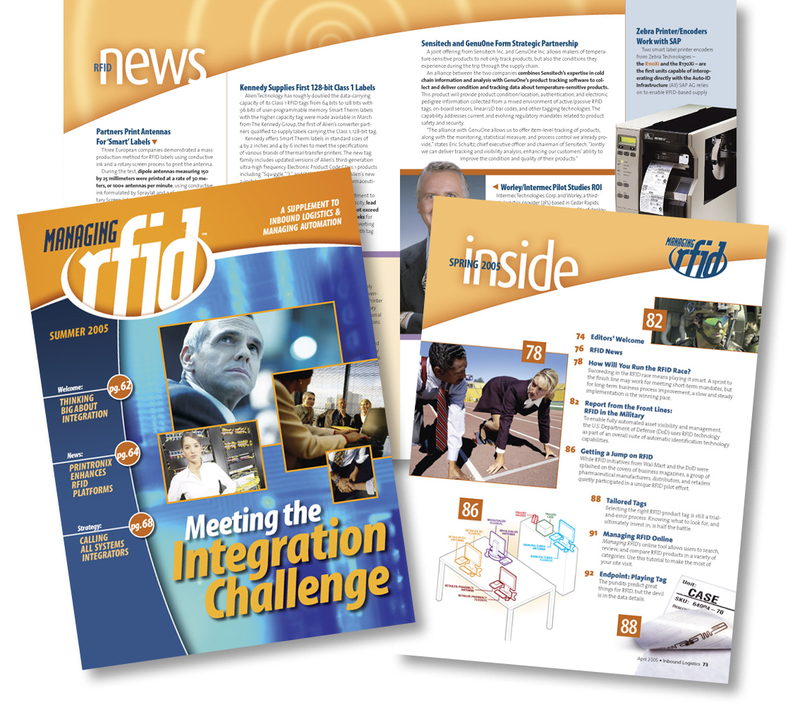 Semi-annual joint supplement from Inbound Logistics and Managing Automation covering RFID-related topics in the supply chain, manufacturing and warehousing industries. This joint publication of Inbound Logistics and Managing Automation magazines ran twice a year in both publications. 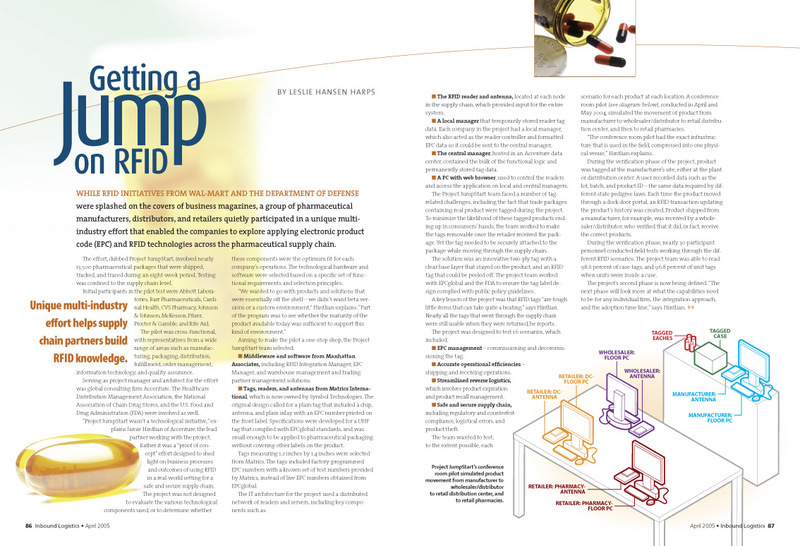 The supplement was conceived to capitalize on the rapidly-growing interest in RFID technology in both the manufacturing and supply chain industries. A tech-heavy look and feel was given to the entire publication, and its unifying characteristic throughout was a broad arc that appears in some form—either as a shape, page divider, or simple line—on every page.